The problem with mankind is that every time there’s an issue around the globe, the first that comes to mind is skin color. We believe everything is racism. We still think our problems are based on where we’re from or what we are. Are they black, are they white, Hispanic, or Asian? By doing that we are just closing our own perspectives and even covering our own solutions. We forget we are just one; just humans, the human race and nothing else. We go beyond color, culture, money and anything our eyes can see. When mankind reaches that deep level of understanding and ignore the tangible, concentrate on intangible qualities then we’ll know the power of the mind. Mankind has evolved, adapted, survived and learned, but our most precious power is in there, in our minds. We take for granted all the beautiful emotions given to us, and instead we feel hate, jealousy or hypocrisy; traits we’ll have to overcome in order to achieve a higher level of thinking and acknowledge real mankind evolution. I admit it, I’m a rich soul trapped in a poor woman’s body. I like good and beautiful things, routine bores me and curiosity kills me. Very often I feel the need to learn something new (places, people, employment) something different from what I’ve already learned, motivation to help me continue to use my time doing something productive and exciting. If we seek changes in our lives we can’t expect them to arrive by magic, getting comfortable and complaining about our bad luck. By doing that we’ll be staying on the same spot and will spend many years until our strength and desire to dream is all gone. We must put action now, change what makes us feel stuck, bored or sad, and replace it with new and positive people who make us happy. 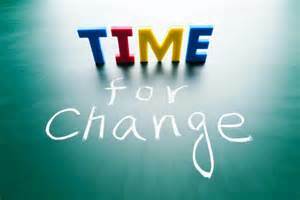 These changes will lead to new ideas and will encourage us to make changes in our lives.